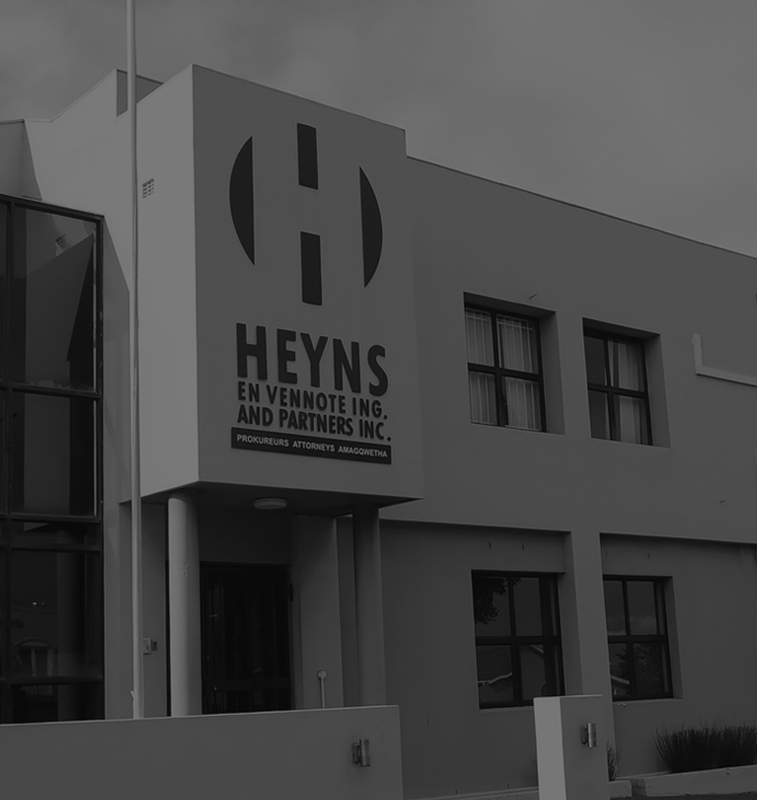 More About Us | Heyns and Partners Inc.
Our firm was founded by Mr JH Heyns in 1958 when he established an office in Goodwood, Western Cape. In 1965, two partners joined the firm to form Heyns Strauss and Visagie. The firm started to operate and conduct business under its current name of Heyns and Partners Inc in 1986. Having established and maintained a proud record of professional integrity, service excellence and stability, we are today privileged to represent an extensive and diverse client base, both corporate and individual. An ever-increasing demand for our services bears further testimony to the high standard of our work over a period of more than 50 years. Our uncompromising dedication to, and effective representation of our clients in today`s challenging and competitive environment, is what makes us a leader in the field!